Ashley shares an extraordinary passion for performing. She began her training at Jacqueline’s School of Dance, at the age of five, studying all types of dancing. It was here where Ashley discovered her true passion and love for dance and the stage. Ashley started studying vocal lessons and private tumbling shortly thereafter, knowing that these talents would advance her career someday. Growing up, Ashley took advantage of performing in her Elementary School Musicals and attended the National Music Camp of Canada. She continued her studies at O’Neill Collegiate and Vocational Institute Performing Arts School combining her acting, singing and dancing abilities into a Triple Threat Performer. She went on to achieve her Bachelor of Fine Arts in Performance Dance at Ryerson University with Honours, making her a diverse and versatile performer. With over fifteen years of dance training as a competitive dancer, in jazz, tap, ballet, pointe, lyrical, acro, hip hop, modern/contemporary, musical theatre, and song and dance, Ashley has been the recipient of numerous awards and overalls at various competitions across Canada, including Miss Senior Bedazzled Dance Champion 2010. Ashley has received special recognition for stage presence, technique and emotional execution. 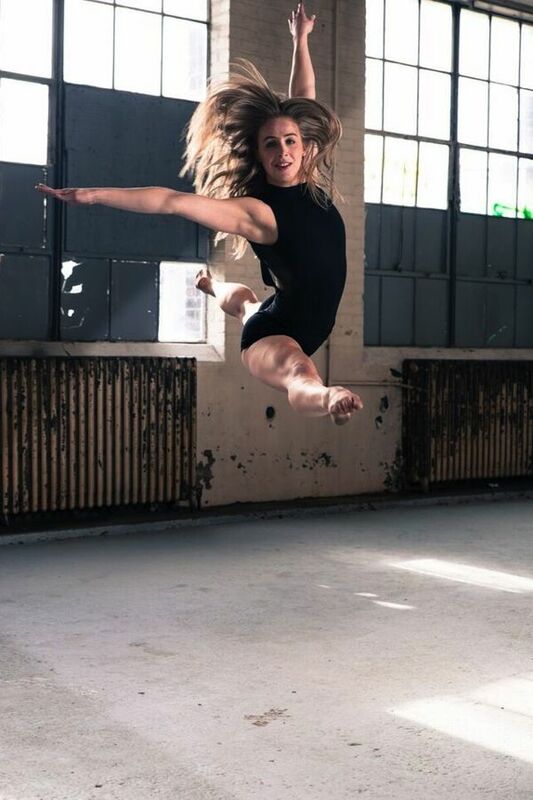 She has been awarded several scholarships including: the ‘Be Discovered Broadway Bound’ Scholarship, the ‘Be Discovered Summer in LA’ Scholarship, the ‘Dance Fusion’ Scholarship and the ‘Costal Dance Rage’ Scholarship. She is the recipient of the Theatre and Dance Program Award presented by Nadia Potts at Ryerson University. Ashley played the role of Sillabub in Toronto’s production of Cats the Musical. It was nominated for a 2014 Dora Award for Outstanding Performance by an Ensemble. She has worked at Canada’s Wonderland as a dancer in over eight shows, including most recently “Toxicity”, choreographed by Cirque Du Soleil’s Julie Perron. She has collaborated with Les Production Haut-Vol and attended Springboard Danse Montreal working with Aszure Barton & Artists. She has had the pleasure to work alongside Proartedanza and Gadfly for the Triple Bill Tour and UNBXBL: A Theatre Dance Production. She was a featured dancer in “Touch of Psycho” at Toronto Fringe Festival with emiMOTION. She has also performed at the Contessa Awards, Dance Ontario Weekend and David Foster’s Miracle Gala. She is currently a member of the TDC Entertainment Company. She has performed under Judy and David including “Jiggijump: World’s Greatest Machine” a kids musical with All Together Now Corporation. She was a dancer/aerialist during Panamanian Festival for “Thirst for Love and Water” produced by Sharon Moore and Derek Assland. She also danced in the opening ceremonies for Parapan Games choreographed by Melissa Williams. She recently completed a contract with the Canadian Opera Company for the production of La Traviata.